Read an article on the internet that says it grows well in zone 9 climates. Because it is a hardy variety, it can get hot and humid here, will do better than other varieties. This adjusts well with northern Cal weather & soil. High yield even in first year with minimum effort. Going to try my hand at growing my own hops! Just the next step in my personal brewing evolution. The Cascade rhizome is growing, albeit not very large at this time, probably due to our San Diego climate. Rhizomes arrived early in April in great shape. Planted in one gallon pot on April 10 - cut out bottom of pot 3 weeks later and planted in raised bed. By end of seventh week , the vine is 5 foot tall and growing every day. A very healthy plant ! 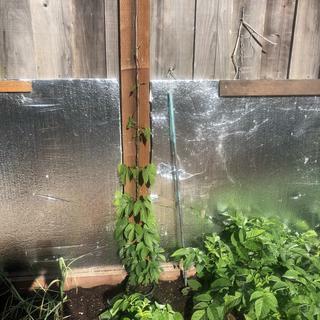 First time trying to grow hops. Looks like they are doing good can’t wait till they flower. Great Rhizomes, they were already growing in the package. Planted them and they sprouted within a few days! USPS took 6 days to travel the 70 miles from MoreBeer's Concord CA warehouse to my house in Modesto, with detours through Oakland, San Francisco, and Sacramento along the way according to the tracking info, all locations farther away from my house than Concord..
Thankfully the Rhizomes I bought all sprouted but I highly recommend paying the extra few bucks for non-USPS delivery of a live plant if you want to get it in the ground quickly. Fast shipping. Started growing in the bag. Slower to start than Chinook and Golding, but looking very healthy at 3 weeks or so. Purchased 4 rhyzomes this year. All are growing well. Looking forward to harvesting! I purchased the Centennial Rhizomes to plant on a horizontal coir string line. The rhizomes arrived in great shape and are growing well. This the first year so a final report on viability a quality of blooms will be reported in September. No reason to not try them. I dug a 2 foot half round section and filled with Miracle Grow vegetable and flower soil. I just recently purchased my rhizome and so far so good. It was nicely packaged and wasn't dead, so that's a major plus. I was just recently able to put it in the ground, so hopefully I get a good crop. The rhizomes I purchased from Morebeer arrived quickly after they shipped. They were packaged nicely and were still moist. I planted them a few weeks after they arrived and they started growing extremely fast. 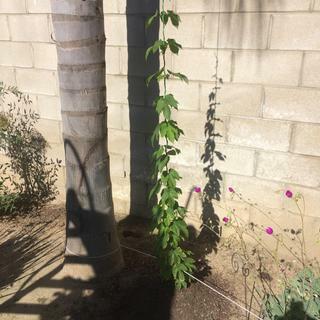 Every day the vines are 1 inch longer. Great product! I have tried my hand at growing hop rhizomes for years, purchasing them from various sources. Last year was a bust....not one grew. 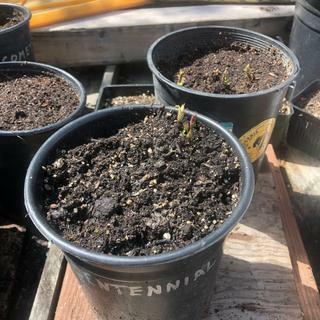 This year...WOW More Beer!The Centennial rhizome I received was so ROBUST and ready to get growing. I sprouted it further indoors for a few weeks (I live in New England!) then planted it outside and it is doing phenomenally well. Thanks! They get a 4 star because I can't give a five star until I get product off of the plants. However, once they arrived, I stored them in the fridge for over a week in the bags they came in. I finally got them in the ground and was amazed that several of them sprouted in less than a week. Now after 2 weeks, all but one of the 12 have sprouted. I am really excited to try the finished product and will update reviews on each of the strains after I try them. I planted two of these recently and both are growing. I would recommend buying rhizomes from morebeer. They arrived well packaged and in good condition. Grew last year in a pot. Grew very nice smelling cones. Didn't actually brew with them last year. Plants survived winter and have popped back up this year. 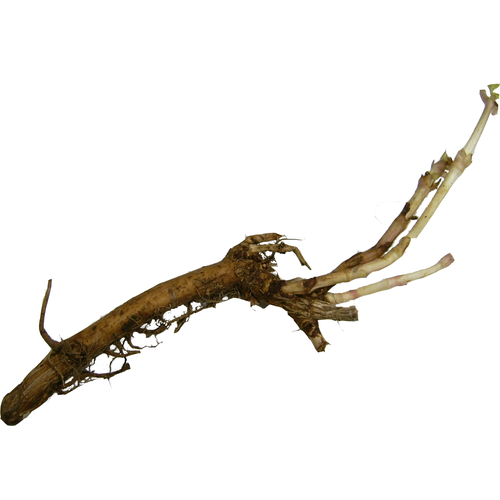 Best healthy specimen of rhizomes I've received from any vendor yet! I purchased from 4 different vendors last year because I was a little late in deciding. This year I planned ahead and just bought a couple of my most commonly used (Centennial) hop. They were boxed in USPS square priority box and delivered the same week even though it was not in stock and a pre-order. Both rhizomes were great looking specimens and in excellent health. Hurry and don't procrastinate, get yours now! I will definitely come back to expand my garden. Last year (2013) the Centennial hops plant I purchased from morebeer produced 1/2 a pound. I'm hoping for more of the great Centennial hops this year with a second plant. It grew, but I'm not sure I have the right climate for these hops (Florida panhandle), but I loved the thought of using my own, homegrown hops! pre-ordered in january 3 different strains and just received a few weeks ago with what seems like white mold on them although! they have since sprouted and are now about 4 inches. So excited. Now, its time to wait. This is my first year growing hops. These shipped very quick and are big and ready to go into the ground. Now I just gotta wait a few years to enjoy them. I planted them pretty late into spring last year. The plant grew well in full sunlight and I was fortunate to get a small yield. The aroma from hop cones was incredible. I was very happy with them. In the fall, trimmed the vines down to 2 inches and added a layer of manure to prep it for winter. The plants have exploded with vines really early this year. The vines look really thick and healthy this year. I can't wait for hops to come in again. Centennial is the bees knees, and for only a few dollars to own a rhizome, the yield is going to be well worth it. these rhizome are excellent, worth the wait. planted and where up out of ground in 1.5wk now over 3ft tall on trellis. Great example of a great hop factory. Already growing. Can't wait. Now I will have Cascade and Centennial. I bought 6 rhizomes last year and none of them grew and I was pretty bummed. 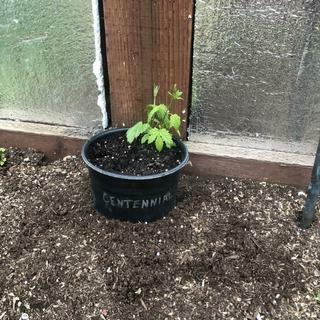 This year I thought I would try once more so I bought 2 Centennial and they are growing right along! Glad they sprouted this year! Looking forward to growing some! Planted right after receiving 3 very healthy looking rhizomes, I am already getting about 2 inches of growth. Received it in a timely manner. Even though my order was messed up and never put in, customer service was excellence and my issue was resolved quick! It was discounted and no shipping chargers due to the hiccup. Thanks Greg! Will come back next year for more rhizomes!